Recommendations by the Equality and Human Rights Commission (EHRC) including outlawing non-disclosure agreements being implemented to prevent workers complaining of sexual harassment unless initiated by the employee making the complaint have been welcomed as a step forward by Unite. Other recommendations include that the time limit for an employee to take a case of harassment to an employment tribunal should be extended from three to six months to make it easier for such cases to be registered. 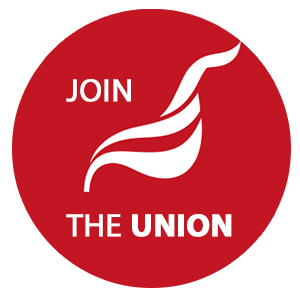 Unite has also welcomed calls for the sections of the Equality Act, which make employers responsible for third party harassment of workers and which were abolished by the Conservative-led Coalition government, to be reinstated. However, Unite which has met the EHRC on several occasions, believes that the recommendations do not go far enough to be fully effective in stamping out harassment in the workplace. In particular the EHRC has failed to recommend that union equality reps should be given statutory rights and trained in dealing with workplace sexual harassment. Instead the EHRC recommended the creation of so-called sexual harassment ‘champions’. The EHRC’s own research found that workers who experienced workplace harassment and approached a union rep got far better support than if they contacted human resources or a line manager. “There is a lot to welcome in the EHRC report, it is important that time limits are extended at employment tribunals to ensure justice in cases of harassment,” said Unite national officer Siobhan Endean. “The government must act to reintroduce the third party provisions under the Equality Act as in many workplaces, in particular in customer facing roles, third party harassment is all too frequent,” he added. “The Conservative’s original decision to scrap these provisions was a gross betrayal of women in the workplace. “However if we are to make further progress in stamping out harassment which can be frequently deep seated in the workplace, then we urgently need to recognise the role of equality reps and to give them statutory powers to challenge behaviour.